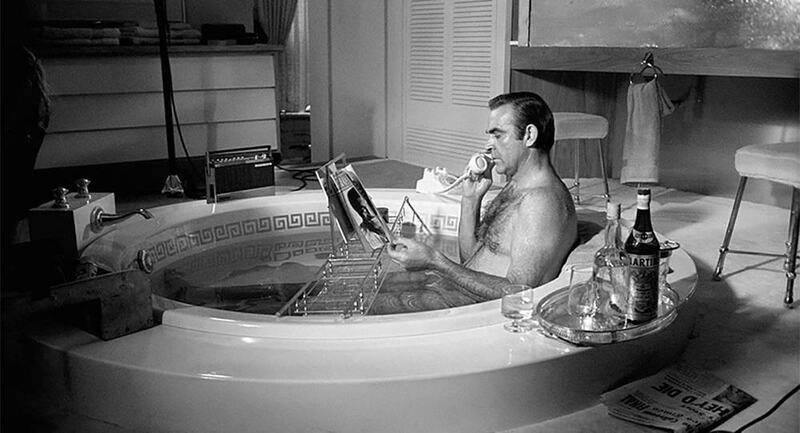 Did you know that James Bond – according to Ian Fleming’s original books – has his own unique way of taking a shower? He starts with hot water, then, turns the temperature down to freezing cold right at the end? Perhaps as a nod to Bond’s Scottish roots, this type of hot-to-cold shower is also commonly known as a Scottish Shower. Who knew? More importantly, it turns out that cold showering is good for you. 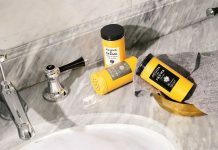 Here are 7 surprising health benefits of incorporating a cold shower into your bath time routine, as advised by J. Doulton – a huge fanboy trialling the quite literally shocking ritual with the help of The Bathroom Discount Centre. Just as hot water makes the blood rush to your skin, cold water encourages the blood to surround your organs. Switching from hot to cold water increases the circulation by forcing the blood to move, which is great for combatting hypertension, hardening of the arteries, and general heart health. Cold showers speed up your metabolic rate, which also activates your immune system. While showering with warm water opens your pores, cold water closes them. This prevents them from getting congested with oil and dirt (which leads to spots). Hot water has a tendency to dry out your skin by stripping it of its natural oils too quickly. By using cold water, your blood vessels constrict, helping to reduce swelling and dark circles under your eyes. You end up with a clearer complexion and a young, healthy glow. Cold water works wonders for healthier and shinier hair too. The water closes the hair cuticles, which prevents dirt from getting in, and it makes your hair stronger. The result is glossier hair and reduced hair loss. Incidentally, cool air (e.g. the cold setting on a hairdryer) has a similar effect. Did you know that ancient samurai warriors started their day with ‘Misogi’, a Japanese spiritual purification ritual that consisted of tipping a bucket of cold water over their heads to cleanse the spirit at the beginning of every day? Cold water is a great way to help you wake up in the morning; it invigorates your entire body and makes you feel alive! The shock of the cold water all over quickens your breathing and increases your oxygen intake. The resulting rush of blood through the body will help you feel energised. Just as athletes take ice baths after training to prevent muscle soreness, a cold shower after a heavy session in the gym can be just as effective. The cold-water works by lowering the temperature in the damaged tissue and constricting blood vessels – a bit like the ice pack you put on an injury. Bruising is prevented, nerve endings are numbed and pain is minimised. On a whole body level, an ice cold shower will increase circulation and minimise inflammation, aiding recovery. Taking a cold shower speeds up your metabolic rate, which helps you to burn fat. There is also a theory to suggest that extreme cold activates your ‘brown fat’ to burn calories to keep you warm. Brown fat is a heat generating type of fat that burns energy, as opposed to white fat, which is accumulated around the waist, thighs and elsewhere on the body when we consume more calories than we need. Contrary to the popular belief that taking a cold shower dampens sexual desire, studies have shown that cold water increases testosterone production in men, boosting libido and energy levels. What’s more, cold showers are excellent for stimulating sperm count and motility, meaning a greater chance of becoming a dad.